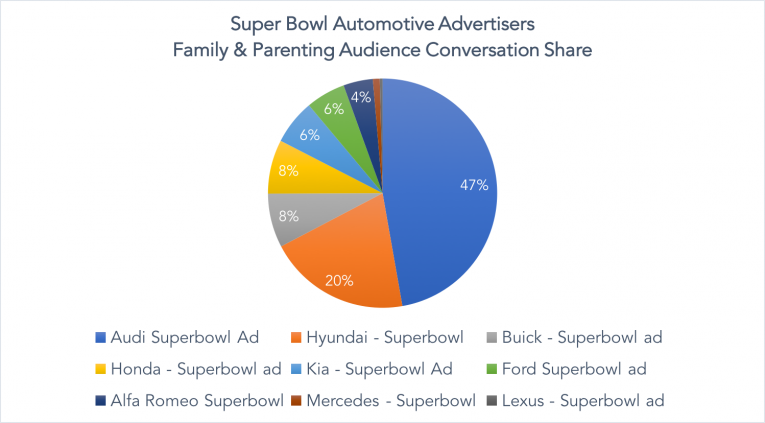 Automotive Audiences and the Super Bowl - Which ads drove the most attention? If you thought the Super Bowl might be the one place you could escape the all-encompassing political environment we currently find ourselves in, you’d be mistaken. Super Bowl LI will be remembered for three things: Tom Brady, that catch and those politically and culturally charged commercials. 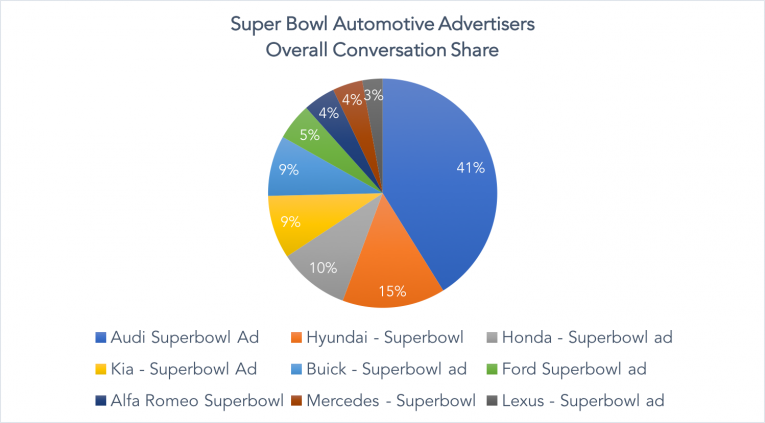 With an estimated $385 million being spent on 111 Super Bowl commercials this year, and over 113 million Americans tuning in to watch, it is no surprise there’s been a huge amount of conversation taking place online surrounding the commercials. 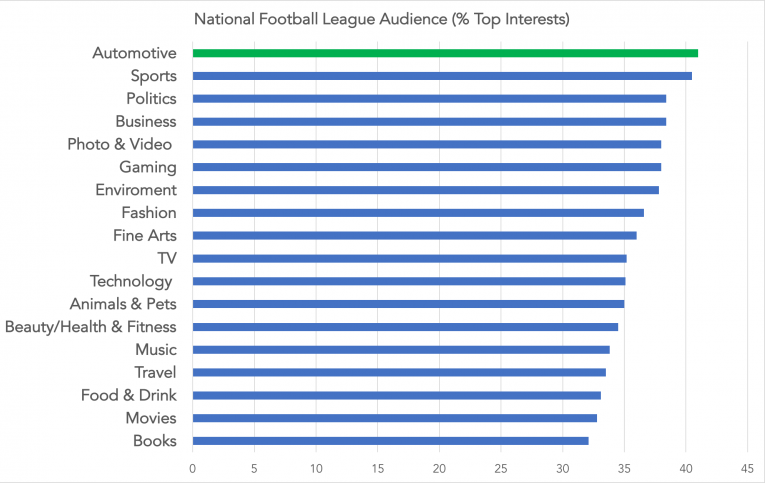 Using data from Global Web Index, we identified Automotive as the number one interest of those who follow the NFL and watch it on TV or online. 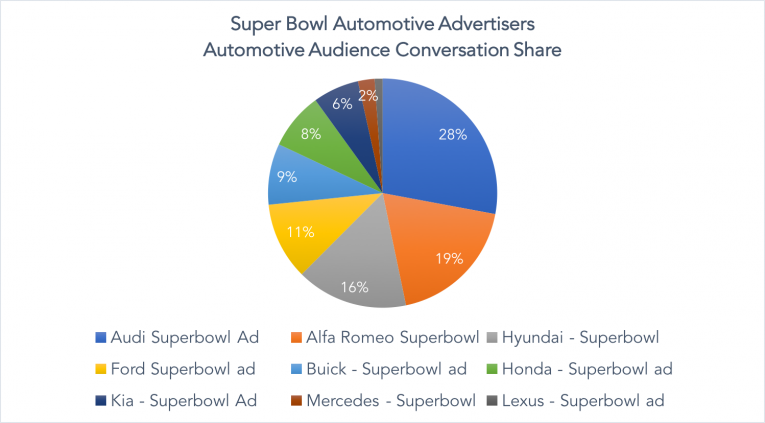 As a result we were interested to find out which of the car ads running during the Super Bowl resonated most with this specific audience. 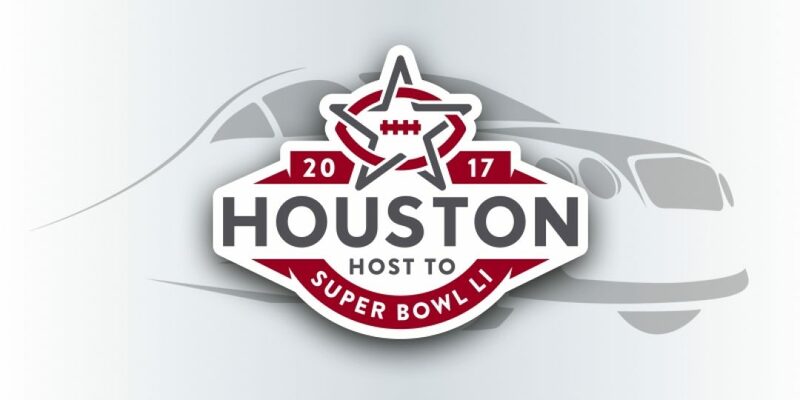 This years Super Bowl saw nine advertisers air eleven commercials during the game, including Alfa Romeo, Audi, Buick, Ford, Honda, Hyundai, Kia, Lexus and Mercedes Benz - with Alfa Romeo airing three separate commercials before and during the game. To start with we analysed social media data to identify the share of conversation each advert saw during the course of the event. Taking the top spot with 41% share of the conversation was Audi and their ‘Daughter’ commercial, which was talked about on social media significantly more than the others. Hyundai received the second highest volume of conversation (15%) with their live commercial, whilst in third place was Honda and their #PowerOfDreams commercial which earned the brand a 10% share of the total tracked conversation. Following a turbulent and divisive political climate in recent months, it was no surprise some of the world’s biggest brands set out to use the most watched televised sporting event to make a statement. As the only Automotive advertiser to venture into political territory, it is clear to see that the large volume of social media commentary surrounding Audi’s commercial was due to their strong message on inclusion and gender equality. However, the conversation sentiment wasn’t all positive as many viewers turned to social media to point out that despite Audi's calls for gender equality, only two of the people on its 14-member US executive board are women. When discussing Audi, social media users often mentioned other Super Bowl advertisers such as AirBnB, Coca Cola and 84 Lumber. This was due to each of these companies incorporating strong political or social commentary into their Super Bowl commercials. Following the nail-biting final moments of the biggest comeback in Super Bowl history, Hyundai were left with the task of impressing and capturing the attention of the 113 million strong TV audience. Instead of making a commercial in advance of the Super Bowl, Hyundai created a mini documentary that covered some of the best moments off the field. Without stepping into the political ring, Hyundai filmed their ninth Super Bowl commercial live from an army base in Poland during the first quarter of the game, edited it in the second quarter and aired it following the game. 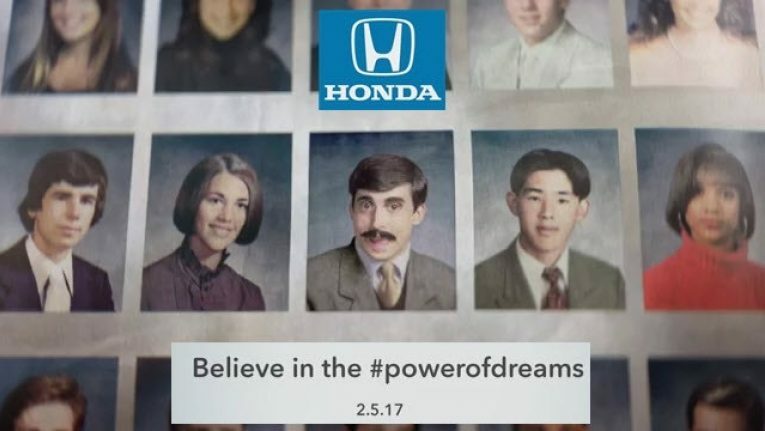 Honda also avoided any controversy with their commercial, whilst still capturing a significant share of the social media conversation. Their 'Power of Dreams' commercial featured talking yearbook photos of celebrities encouraging people to follow their dreams. Using social media profile data we were able to segment the results by specific interest groups and therefore understand how each group reacted to the adverts. For the Automotive interest group, there was a strong conversation focus on the themes of inclusiveness and gender quality which featured in the Audi commercial, in addition to the Audi S5 model featured. Alfa Romeo were the second most discussed advertiser which was interesting as the brand only received 4% of the overall conversation, yet received 19% of conversation by Automotive enthusiasts. With the first Alfa Romeo car being launched in North America in two decades, it was self-confessed ‘petrol heads’ who lead this conversation. Buick also received a visible share of conversation from those interested in Family and Parenting. The advertisers second consecutive Super Bowl commercial featured NFL quarterback Cam Newton and super model Miranda Kerr, who appeared in their ‘pee wee’ football themed advertisement. The humorous nature of the commercial and the focus on children playing and families enjoying the game at all levels clearly helped drive attention across social media.